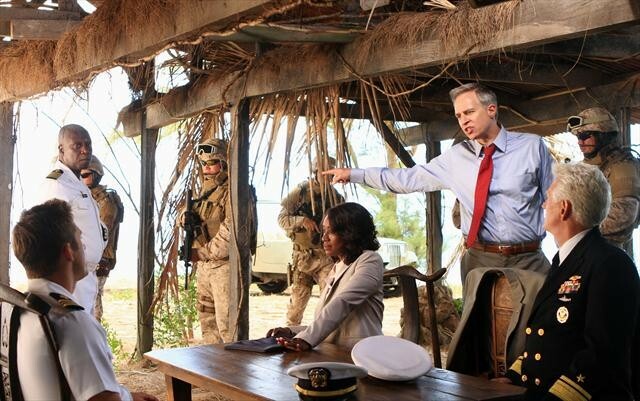 Negotiations are the key issue as Secretary of Defense William Curry (Jay Karnes) arrives on Sainte Marina to talk to Captain Marcus Chaplin (Andre Braugher) and XO Sam Kendal (Scott Speedman). Admiral Shepard (Bruce Davison) is a surprising visitor to the island and they are accompanied by Amanda Straugh (April Grace) to help with the negotiations. While this is going on, Lieutenant Grace Shepard (Daisy Betts) is in charge of the Colorado on a repair mission that could leave the crew and SEAL Officer James King (Daniel Lissing) in danger. Meanwhile in America, Kylie Sinclair (Autumn Reeser) is finding out that certain doors are being closed to her while Paul Wells (Jay Hernandez) is trying to get closer to Christine Kendal (Jessy Schram).